A charcoal grill and craft beer bar inspired by the Canadian Rockies. When you're wandering through the Canadian Rockies, you're probably thinking about many things. The sheer size of the mountains around you, for one. The cold, depending on the time of year you visit. And perhaps spotting a mythical creature, depending on your thoughts on Bigfoot. The folks behind Chermside's newest bar and eatery might've been pondering all that, but they were contemplating something else as well. Inspired by the splendour around them — and the food and drink that they enjoyed along the way — they decided to bring a slice of Saskatchewan back to Brisbane. That's where Sasquatch was born — and like its namesake, you'll find it hiding in plain sight (just down the road from Chermside shopping centre, in this case). The presence of plenty of timber fixtures and furniture evokes thoughts of the titular creature's natural habitat, but this craft beer and charcoal grill bar really is all about its menu. Whether you're keen on a breakfast coffee and sweet treat, something more exciting than a sandwich for lunch, an after-work beverage or a share plate for dinner, Sasquatch has you covered. 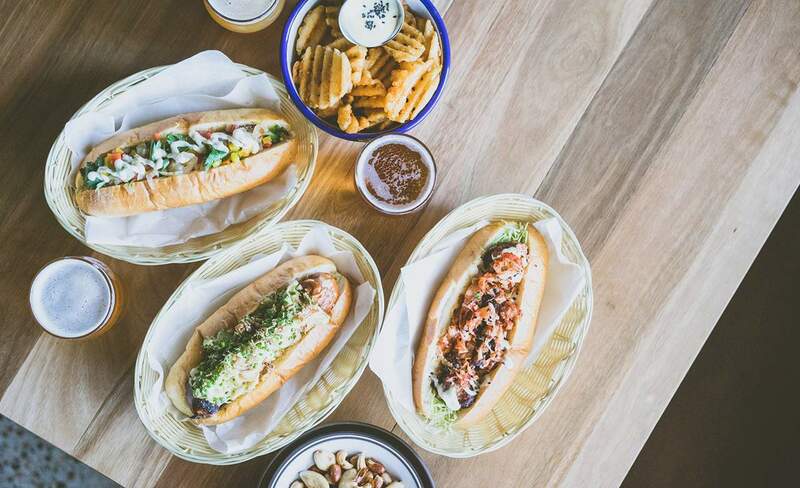 Food-wise, expect something special no matter what time of day it is — that is, jaffles first-up, sticky pork belly and miso glazed barramundi hero subs come noon, and grilled hunks of meat, whole chickens and fillets of fish with waffle fries and other sides to finish up. Alas, you won't find the Canadian staple that is poutine on the menu yet, but keep your eyes peeled for a future addition. To wash it all down, patrons can choose between a rotating selection of craft brews — including 20 bottled and eight on tap — plus wine, spirits and Cleanskin Coffee Co.'s signature blend.